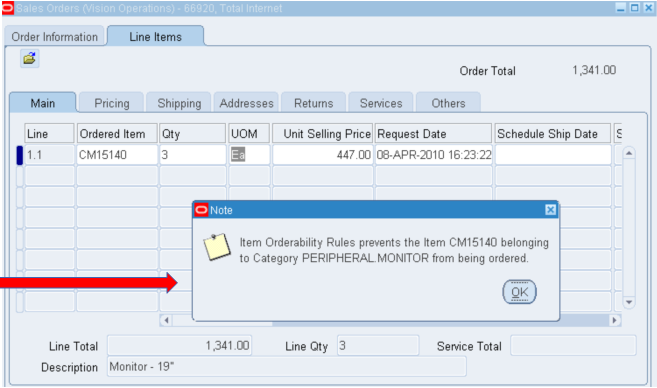 There is a new interface provided by oracle to define rules to restrict certain kind of items to be ordered based on certain rules / criteria. Customer A may purchase all items except for repair items and promotional items. Alternatively, Customer B buys only repair parts but is restricted from buying promotional items. Such kind of rules can be created with the new functionality in R12.1.1. 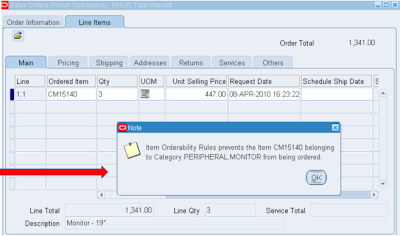 In the above screen, a rule is setup on the order type: MIXED to restrict item CM15140 in the sales order screen. We will get a message saying that the item is restricted for ordering under the order type MIXED. Similarly we can define rules for other attributes specified above. One of the most common business scenarios is to restrict a particular customer ordering certain items and this can be achieved by customer level Orderability rule. 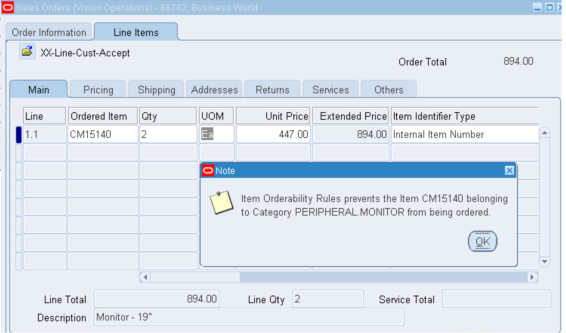 Restricted Item is visible in ordered item list of values at sales order line level, but will not be saved. 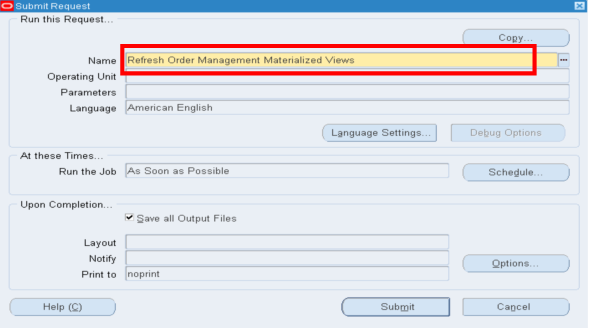 The concurrent program – “Refresh Order Management Materialized views” has to be run whenever changes are made to the above profile option. 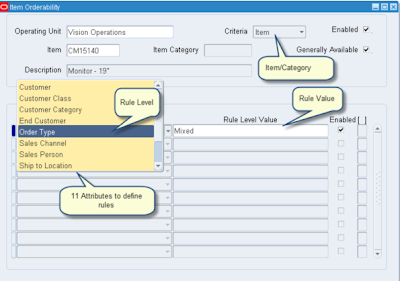 The concurrent program restricts the items or makes the items available in the LOV of the Sales order based on the above profile option.